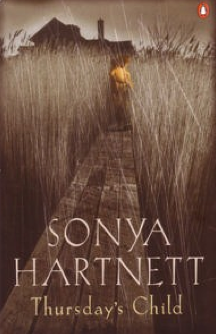 A little while back, I read and reviewed Sonya Hartnett’s Of a Boy. At the time, this novel surprised me with its impact, its subtle realism and its quiet sadness. 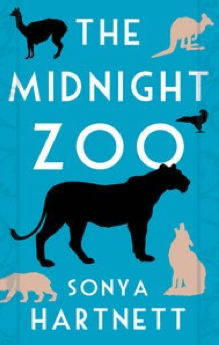 I was also fascinated by the fact that Sonya is one of those rare authors who very successfully writes for both adults and children, and this fascination lead me to push the award-winning, The Midnight Zoo to the top of my reading pile. We are immediately endeared to Andrej and his siblings, worrying for them, as they pick their way through a war-torn landscape. The town is nameless and now devoid of life…or so they think. Magic and myth are present from the outset, but it is not until the children come across the Zoologicka Zahrada, the Zoological Garden – that the real magic of this story begins. After yet another air-raid, seemingly waged to ensure not a single thing is left standing in this cursed little town, Andrej and Tomas awaken to voices. Voices in the lifeless town come as a shock, as does the fact that it is the lioness, the bear, the monkey that are sharing their concern, their resentment and their life-stories with the children. This novel is magic realism used to full effect. The fairytale narrative makes this a compelling read for older children, and a surreal experience for adult readers, requiring a refreshing suspension of disbelief for the duration of the story. And, like many traditional fairytales, this story has a very dark side. The contrast between these dream-like conversations, and the memories of Andrej – horrible recollections of the day that the gadje war impacted his gypsy clan, and stole his parents – is stark and confronting. Reading The Midnight Zoo reminded me a lot of some of the more serious books that I read as a child, and most particularly of I am David, by Anne Holm. The impact of I am David has stayed with me for decades, and I’m fairly certain that this story would make a similiarly lasting impression on a young reader. It is beautifully written, perfectly paced, and Hartnett skillfully balances the multiple stories and character-developments throughout. Sonya Hartnett was this week awarded the ‘Older Readers Book of the Year 2011’ by The Children’s Book Council of Australia for this wonderful novel. In my humble opinion, I think it is a most deserving winner. I’m a bit hooked on Harnett now, and am keen to read some more of her work…I’m thinking Thursday’s Child might be next on the list. I’ll also put The Midnight Zoo on the pile for Evan to read in a year or so (I think he might be just a little bit too young now) and I’ll be very keen to hear what he thinks of it. Excitingly, Stories Unbound, the Melbourne Writers Festival starts tomorrow. Don’t forget to check out their website for details of all their wonderful events! Buy your own copy of The Midnight Zoo at the TBYL Store!